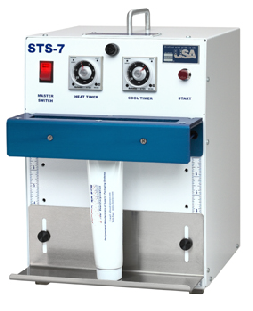 These laboratory plastic tube sealers are perfect for small batch runs research and lab use or start up operations. This machine has a 7 inch wide heat sealer bar; with pneumatic operation from built in compressor. No need for additional external air compression. The digital medical validatable model is also available with validatable control features and stainless steel body. 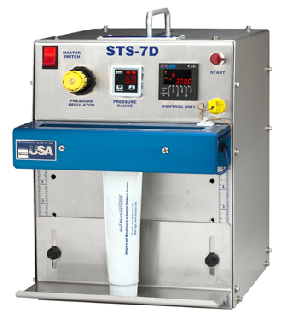 Besides squeeze tubes, this machine is designed to seal products that must be sealed in a vertical orientation such has pouches filled with liquids.